Our little Peter is almost two months old! It's hard to believe how quickly the months have passed, but we can't imagine life without him! 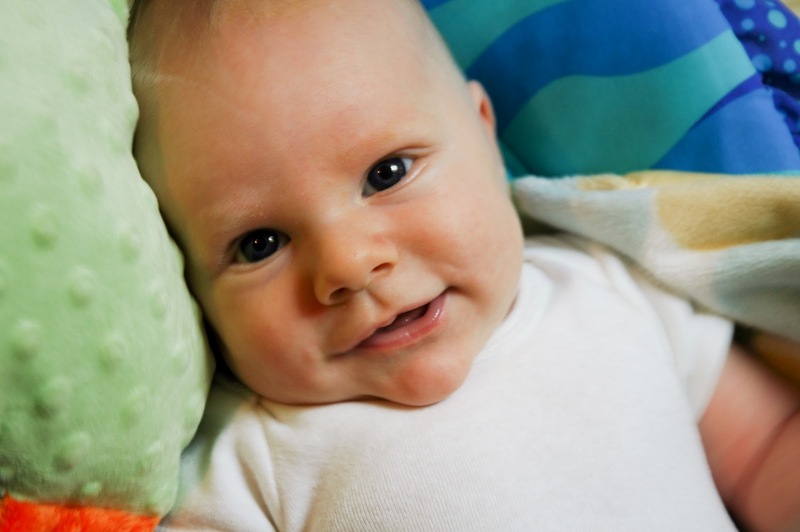 He smiles a lot and is starting to coo and babble. He is a very cozy guy and I love co-sleeping with him. He is also a great sleeper - only waking up once or twice to nurse! We noticed early on that he tends to lean his head and look to the right. We learned from a chiropractor who was a guest at one of our Bradley classes that this can be a sign of spinal misalignment, which likely occurred during delivery. 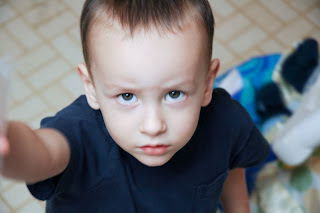 So last week I took him to that same chiropractor and she determined that his occipital bone was misaligned. She made some adjustments and showed me some exercises to do with him. We had another appointment with her today and she saw major improvements in his neck strength and movement. Andrew and I have also noticed a lot of improvements. It's so nice to see him holding his head straight! I have a couple more posts that I meant to write after Peter was born. I've been pretty behind on this blog for two main reasons (John and Peter!). Hopefully I will catch up soon! His critique of some homemade grape juice: "It's not sour, Mamma. It's very spicy!" "Some-be-people" (instead of "somebody") Example: "Some-be-people live in that house." When Peter was crying: "Oh, Peter, you're fake crying." After trying to use the potty chair: "I put a toot in there! Come see!" I was wearing a knit hat and John said, "I like your hat, it's really purple." We were taking a walk and a sports car went by. The driver was revving his engine. After it passed, John said, "That car stinks!" He gets to have a little cup of chocolate milk before nap and bed time. While he is drinking it he always puts his finger in his belly button. He calls this "belly button time". Apparently I call Andrew "darling" a lot because John asked me one day, "darling had to go to work?" 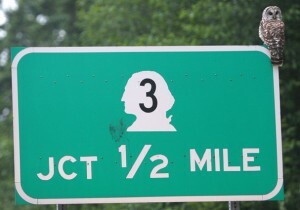 When we were driving past a sign for a highway he said "That man lost his body" (In reference to the profile of George Washington).